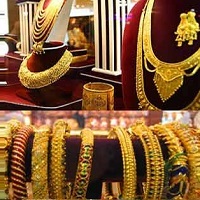 Jewellery is an important emerging sector. That is the fastest growing sectors.The jewellery industry is very much fascinating being artistically modern and traditionally glamorous. This business employees and engages millions; cover wide activities such as raw material procurement from Africa, Australia, Canada and Russia, and transforming these into products in demand with the skills available in India, Italy china and Turkey for the sophisticated markets in the Far East, Middle East and Asia.